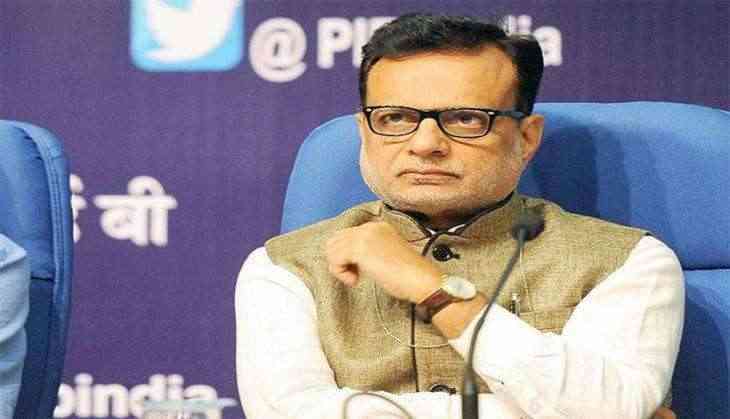 Revenue Secretary Dr. Hasmukh Adhia on Tuesday said a Central Monitoring Committee has been constituted to assess the situation of pricing and supply of commodities, post the rollout of the Goods and Services Tax (GST). Addressing a press conference here, Adhia said meetings are being chaired every week with the aforementioned committee, chaired by the Cabinet Secretary. "A committee has been constituted comprising 15 secretaries from departments that are in direct contact with consumers, to monitor commodity pricing and client groups. Although no field work is involved, officials will have to monitor four to five districts along with the assigned Link officer," he said. Speaking about the initial feedback received post the GST was implemented, Adhia revealed that the new taxation system has been well received, adding that it is closely being monitored. "The GST has been well accepted. All state governments other than Jammu and Kashmir have complied with all norms. I would urge that if there is any difficulty, please give us feedback, since it is important for us to know. So far, no problems have been detected," said Adhia. Responding to queries on the Maximum Retail Price (MRP) of commodities under the GST, Avinash K. Srivastava, Secretary- Department of Consumer Affairs, clarified that all distributors/manufacturers must print the complete details of the original and revised the MRP on the product. "The retailers must furbish all details of price and the revised rate. If there is an increase, an additional notification needs to be sent out, apart from printing both rates on the product packaging," he said. Adding to this, Adhia said dealers registered under the Composition Scheme do not have to show tax, while other registered dealers will have to clearly show the tax split up. He also revealed that while commodities do not attract any cess, vehicles crossing state borders will continue to be charged, unless they possess a national permit. "22 states have removed check posts so far, and we are expecting the others to comply as well. The tax on vehicles is on crossing borders, and not on the goods being transported. Therefore, that will have to be paid," said Adhia. Responding to a concern raised after the Tamil Nadu theatre owners began a strike against the additional tax levied by the local government body, Adhia clarified that state governments have additional power to tax firms and industries, on behalf of the municipal corporation. "Just like the Centre levies excise duty, state municipal bodies also have the power to levy taxes apart from GST," he said. Clarifying the difference of opinion regarding taxing commodities used by those with physical disabilities, Adhia asserted that it would be beneficial, since it would bring down import prices. "Our import would be affected if the tax rate is made zero. It is kept at 5 percent since import would be cheaper, and there would be no impact on the raw materials used to manufacture these products," said Adhia. In order to spread awarenesss about the new tax regime, special sessions are being conducted for six days starting Thursday. The sessions, titled 'GST Master Class' will be held in both English and Hindi in the New Media Center, and will cover a wide range of topics from registration to filing of the tax. The session will also be aired live on DD National, notified Adhia.